‘Celebration of Excellence-2018’ the annual prize giving of Hejaaz International School, was held at the Bishop’s College Auditorium in Colombo recently. It also marked the Silver Jubilee of the school. The students of the boys and girls sections who displayed outstanding skills and talents in their curriculum as well as extra-curricular activities during the academic year 2016-2017 were felicitated by their alma mater at the event. Past President of the Institute of Chemistry, Ceylon and Senior Lecturer in Chemistry at the Open University of Sri Lanka M R M Haniffa graced the event as the Chief Guest. The proceedings began with the recital of Quir’ath and the translation followed by the welcome address rendered by the Head Prefect of the girls` school Salma Firoze. The Principal of the school Zarina M Hizbullah addressing the gathering talked at length about how communication technology has taken over the minds of the present younger generation. He had suggestions on how this can be overcome. Vice Principal Hasna Hizbullah Iflal read the annual report for 2017/2018 in detail, highlighting the outstanding achievements of the students in various fields. This was followed by the distribution of awards by Haniffa, his wife and the Managing Director of the School N M M Hizbullah. The Hejaazites who had won prestigious awards at the British Lanka Arts Festival-2018 also kept the audience spellbound by their individual performances. 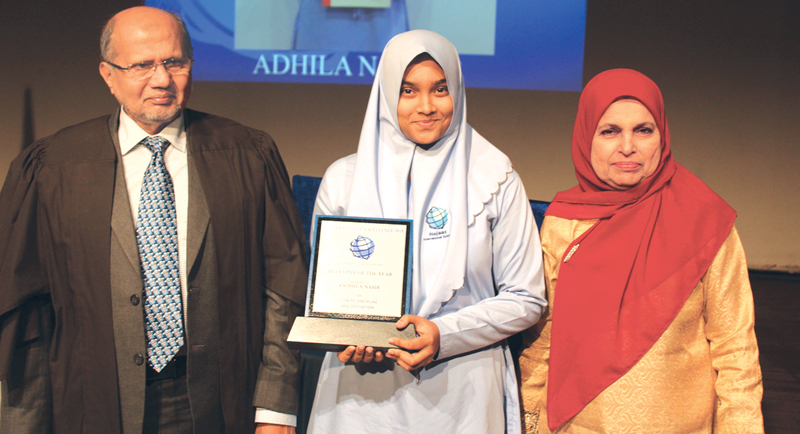 The Hejaazite of the Year award was handed over to Aadhila Nazeer by Director Hizbullah and Principal Zarina Hizbullah. Kanthi Liyanarachchchi, a teacher in the boys’ school was felicitated for completing 10 years of dedicated service to the school. 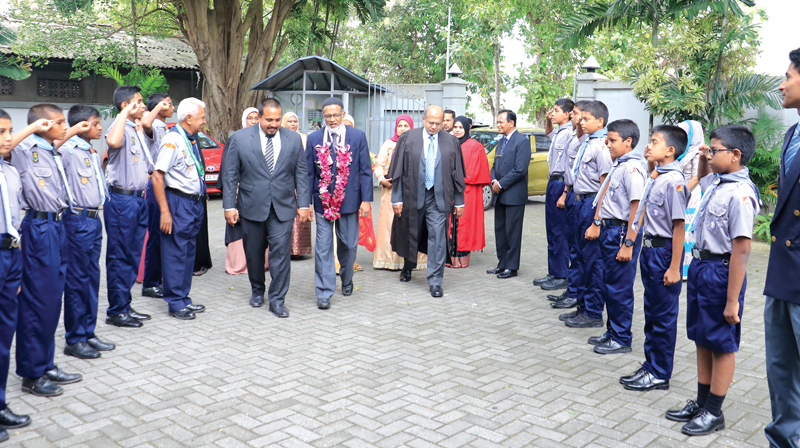 The vote of thanks was delivered by the Head Prefect of the boys’ school Arshaq Ahamed. The Salawath and the National Anthem concluded the event.